Home » Bitcoin-sites » How Does a Cryptocurrency Have Value? What gives anything value? Speak to an economist and they’ll bombard you with a number of different variables, but it all comes down to what someone else is prepared to pay for it. I experience this every day in my private equity company. I like investing in, and buying, other businesses, and so I have a lot of meetings with business owners. I constantly encounter ‘entrepreneur delusion’, where business owners who have set up, run and grown their business from scratch overvalue the business they’ve built as a result. Just as every parent believes their baby is the cutest on the planet, the same goes for business owners. I’ve seen some preposterous valuations, all because the owner can’t separate the effort they’ve put into building it from its actual value. The main form of value comes from the marketplace or, in other words, what other people deem a fair price. This is one reason why many crypto scams out there fail at the first ‘value hurdle’. For example, there is a prominent scam coin called OneCoin. Over 2 million people have been lured into investing in it, but it has no market. The coins’ selling price represents nothing more than the price the scheme’s owners have set for it. The coin itself is worthless. If it ever did go on to the open market, the price would plummet by 99 per cent on the first day. This is an example of a Ponzi scheme and it will inevitably fail. Scarcity is another way things derive value. Gold is a classic example of this. Why does gold have any value? There are many reasons, which we will discuss later, but scarcity is a big one; gold is extremely hard to find and mine. Throughout the ages, the amount of gold mined roughly correlates with human population growth at 2 per cent per year. It’s because we find it special, and it’s so rare, that it has value. Scarcity is one of the main factors cryptos use to gain value. Most cryptos launch with a limit on the number of coins that will ever exist, so scarcity is built in. For example, in Bitcoin’s case, there will only ever be 21 million Bitcoins in existence. And Bitcoin’s algorithm is designed to increase its mining difficulty every time a new coin is mined. The very last Bitcoin will be mined in 2140! One of the basic rules of the markets is that if capital flows into a specific asset, with all things being equal, the price will soak it up and rise. On the flip side, if capital flees an asset, prices tumble. We’ve all seen and felt this first hand since 2008. From 2008 to 2012 the USA more than quadrupled its currency supply, and it didn’t stop there. What happened to that extra capital? Despite the objective for that newly created currency being to get it to the general public in order to spark economic growth, it didn’t. It never does. What happened was that it was absorbed and funnelled into the equity markets (stocks) and spilled over into the property market. As you can guess, prices for pretty much everything in those two sectors rose dramatically. Of course stocks have gone up. Trillions of dollars are sloshing around, pumping it up. The main reason cryptos have increased so much in price since 2017 is that a monumental amount of capital has been flowing in, ballooning prices. It’s a big wave of capital pushing everything up – even the scammy coins with no real-world utility. Put it this way. At the beginning of 2017 the total crypto market cap was just $17.7 billion and $15.5 billion of that was in Bitcoin. The price of one Bitcoin was $963. Fast-forward just nine months and the total crypto market cap has ballooned to $190 billion, with $115 billion in Bitcoin. The price of one Bitcoin now stands at $3400! That’s the power of capital inflows. I’ll bet my entire net worth that the price will continue to grow. I’m expecting the crypto market cap to sail far beyond $1 quadrillion within ten years. Just imagine what the prices for all cryptos will be by then. This leads nicely to the topic of speculation. As you can imagine, FOMO (fear of missing out) brings out the worst in amateur investors. They see statements like ‘Cryptos are going to grow 10, 100, 1,000 times’ and they bet the farm. 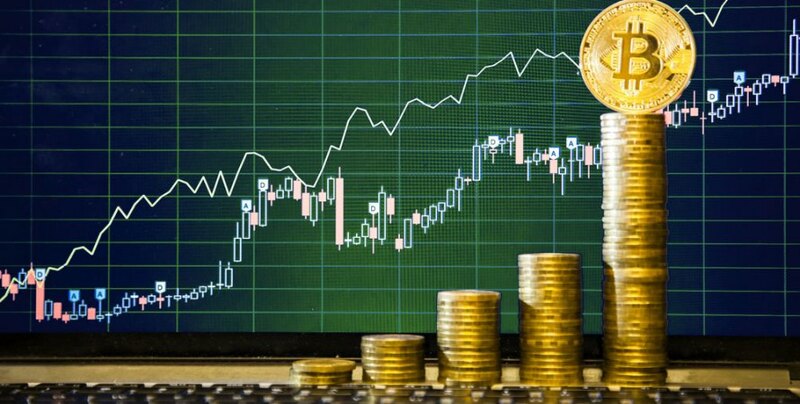 Speculation like this fuels volatile price fluctuations, so much so that in many cases the price of a crypto will rally, as ‘the market’ (that’s us) gets so enthusiastic about a particular crypto’s potential that the price rises in anticipation of what it’s going to do over the next few years. What then happens is nothing, or even a steady and sustained decline, as amateur investors get impatient and lose faith. These, then, are the four basic reasons why cryptos have value. I’m expecting cryptos and blockchain tech to assimilate and infiltrate every aspect of life and the world in the future, but I’m well aware that this is not going to be a smooth ascent. We will see many bubbles, and many bubbles popping. Over time, though, it will increase and become embedded in society. I mean, can you remember what the world was like without the Internet? I can’t. I barely remember what I did with all my idle time as a teenager before Facebook popped up! Do not risk more than you can afford to lose. If you lose it all, you want to be able to say, ‘Oh well, that was fun!’ The golden rule is to use only risk capital.